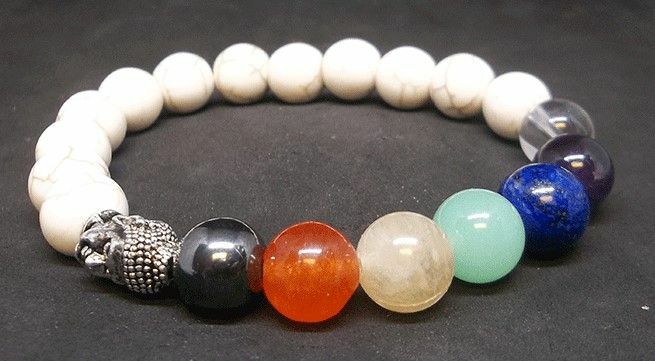 This elasticated bracelet is made up of White Howlite beads, plus seven crystal beads that are used to represent each of the chakras. 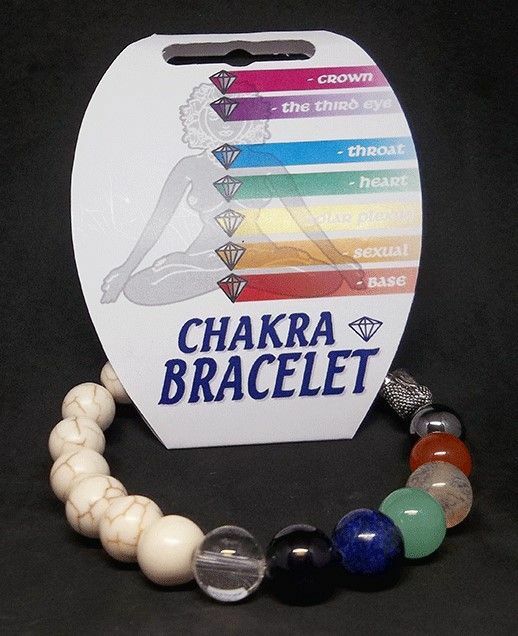 Each crystal bead has been chosen because of its colour and the qualities that the crystal may possess. The bold colours against the White Howlite beads give the bracelet a lovely effect throughout the contrast with extra aesthetic added through a Buddha head bead.